If you’re after something a bit different, but really special, to gift someone this Christmas, check out our brand new salt therapy gift vouchers. 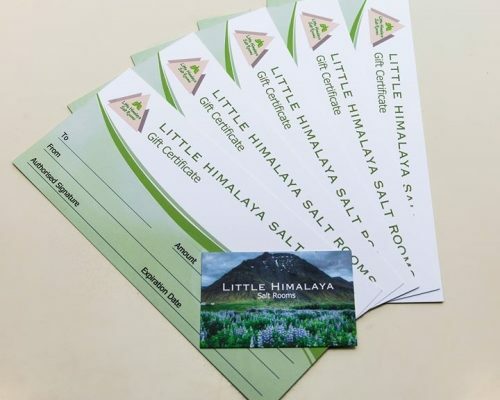 Just £12, these entitle the recipient to a full first salt cave session at Little Himalaya. Valid for 12 months from date of purchase. Give us a call on 01926 257364, pop in and see us, or leave us a message.